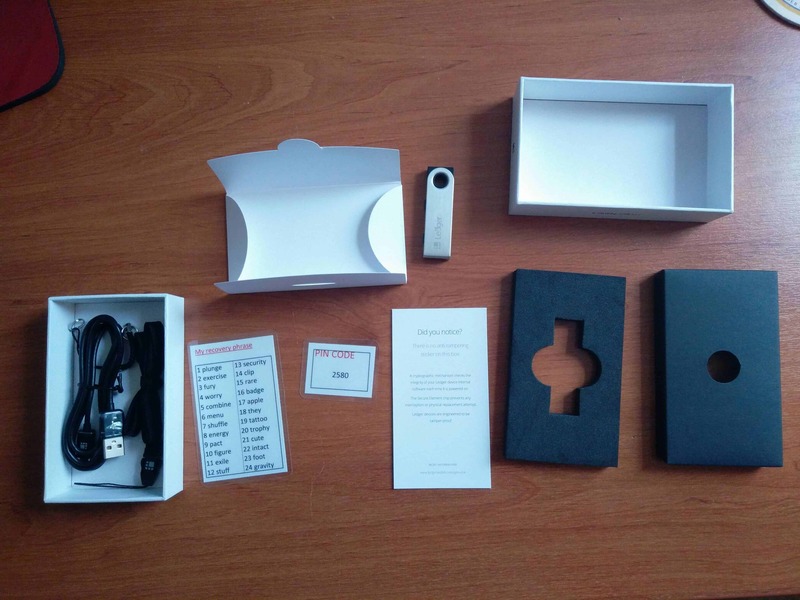 The Ledger Nano S is a cryptocurrency hardware wallet which was released in 2016 by Ledger. To date, it’s sold over 1.3 million units. But is the Ledger Nano S the right hardware wallet for you? Is it the best hardware wallet in 2018? In this Ledger Nano S review, I’ll tackle these questions (spoiler: I strongly recommend buying one), cover some basic security ‘stuff’, and answer a few FAQs. Summary: The Best Hardware Wallet? Makes it simple and easy to protect your cryptocurrency. Competitively priced (£84 / €95). Supports Bitcoin (BTC), ERC-20 tokens, & over 30 other cryptocurrencies. Ledger Live (the wallet interface) is great. Cost makes it unfeasible for securing smaller amounts (e.g., <£1000). The Ledger Nano S has its own screen which shows transaction information. Hardware wallets are USB devices with their own screen which don’t expose your private keys. It’s securely isolated and never passed elsewhere. You connect these devices to a computer. On the computer, you’ll input all the transaction details (e.g., how much and where it’s going). You’ll then have to physically interact with the device to authenticate any transaction. All transactions must be verified (i.e., signed) on the Ledger Nano S.
Even if the computer you were connected to was infected with malware, it can’t touch your cryptocurrency funds without authenticating the transaction through the hardware wallet. While a hardware wallet isn’t considered as secure as cold-storage wallets (e.g., paper wallets) by some, they are much better than hot wallets (e.g., desktop or mobile wallets). They’re popular and well-recommended across the crypto-community for their ease-of-use and convenience. For those who don’t know, leaving your coins on an exchange does not mean those coins are yours. You are simply trusting the exchange to release them to you at some point if you so request it. You have no idea of what level of security these exchanges deploy, nor should you trust any security they report to have. Your coins are stored in a trust-maximized and centralized entity, almost entirely defeating the purpose of using Bitcoin. I don’t doubt that lots of people leave significant funds on exchanges (e.g., Coinbase/GDAX, Binance, etc.,). Because of that, centralised exchanges are big targets for attackers. There are details of the (numerous) previous hacks of exchange services here. Recently, Nicehash (a mining marketplace) lost over 4,700 BTC in a hack. This should illustrate the value in something like the Ledger Nano S.
Did you know that a Ledger Nano S is compatible with the crypto assets that represent 90% of the total market cap? The Ledger Nano S currently supports 29 cryptocurrencies, including Bitcoin (BTC), Ethereum (ETH), Litecoin (LTC), Cardano (ADA), and Ripple (XRP). Through MyEtherWallet, the Ledger Nano S also supports every Ethereum ERC-20 token (e.g., Augur, SALT, WAX). There’s a decent video walkthrough of how this works here. Check whether your favourite cryptocurrency is supported here. The Ledger team are also developing support for other popular projects (e.g., Monero, Cardano, VeChain). You can check up on their progress here. The box and device don’t have any anti-tamper seals. Don’t be worried about that. Check out this Ledger blog post to learn why. Trezor devices have anti-tamper seals, but I think they offer a false sense of security. The Ledger Nano S guides you through the setup process when you plug it in. It only takes about 10 minutes to setup the Ledger Nano S.
The Ledger Nano S comes with instructions and guides you through the process on the device itself. Ledger Live (desktop app) also walks you through the setup process. You can download Ledger Live here. It’s straightforward enough and you shouldn’t have much issue. Ledger Live provides an excellent walkthrough of the setup process too. During setup, you’ll be asked to record (and confirm) your recovery seed. It’s really important that you keep this safe. If your Ledger Nano S is lost or stolen, you can use this recovery seed to access your entire cryptocurrency balance. As long as your PIN and recovery seed are safe, the loss or theft of a hardware wallet isn’t a big deal. For more details, check out this post. For the most part, it just looks like a standard USB drive. I appreciated that the Ledger Nano S is small and discrete. When closed, it’s just 60mm x 18mm x 9mm. It looks loads better than the Trezor One, mainly because of the metal protector. It also seems sturdier. I wouldn’t be afraid to take this out and about. The Ledger’s screen is small, but I’ve always found it clear and easy to read (250 x 30px). When the screen shows any details, it’ll slowly scroll through the information. You can then interact with the device with the two buttons at the top of the device. You’ll interact with the device using these two buttons. Ledger recently launched Ledger Live, an all-in-one companion application for the Ledger Nano S. With Ledger Live, you can access all of your cryptocurrency accounts in one place. It looks great. It’s also easier and more intuitive than their previous system (which required the installation and management of multiple Chrome-based apps). However, Ledger Live is still a work in progress. Features are missing and there are still bugs. You can find documentation which guides you through how to setup wallets for every cryptocurrency the Ledger Nano S supports here. The Ledger Nano S can also be used as a FIDO U2F (Universal Two-Factor) authentication device. This is like Google Authenticator, but more secure. It works with services like Dropbox, Google, and GitHub. Generate and store SSH keys. When should I buy a hardware wallet? 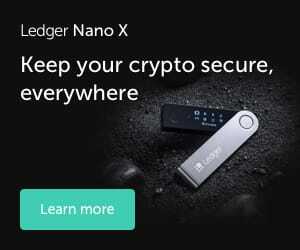 Consider buying a hardware wallet like the Ledger Nano S when you have between £500 – £1000 worth of cryptocurrency (i.e., the cost is <10% of your total cryptocurrency holdings). If you’re planning to purchase more cryptocurrency in the future, buying a hardware wallet when you have less than £500 might not be a bad move either. If you’re on a budget, check out some of the alternatives in the next section. The Ledger Nano S is available from the official website for about £84 / €95 (incl. VAT & shipping). You can pay with a debit/credit card, PayPal, or Bitcoin (BTC). If you’re from the UK, MyHardwareWallet is currently selling the Ledger Nano S for a little cheaper (£79 incl. VAT & shipping). You can find a list of other authorised resellers available in your country here. 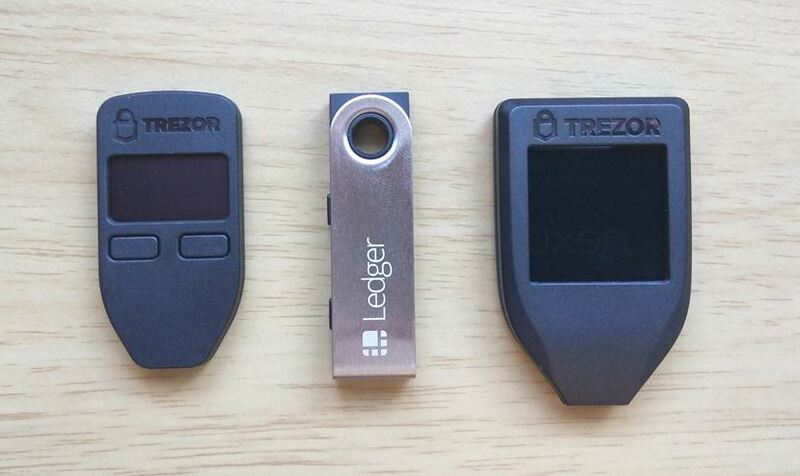 From left: Trezor One, Ledger Nano S, & Trezor Model T.
The clearest alternative to the Ledger Nano S is the original Trezor (i.e., Trezor One). 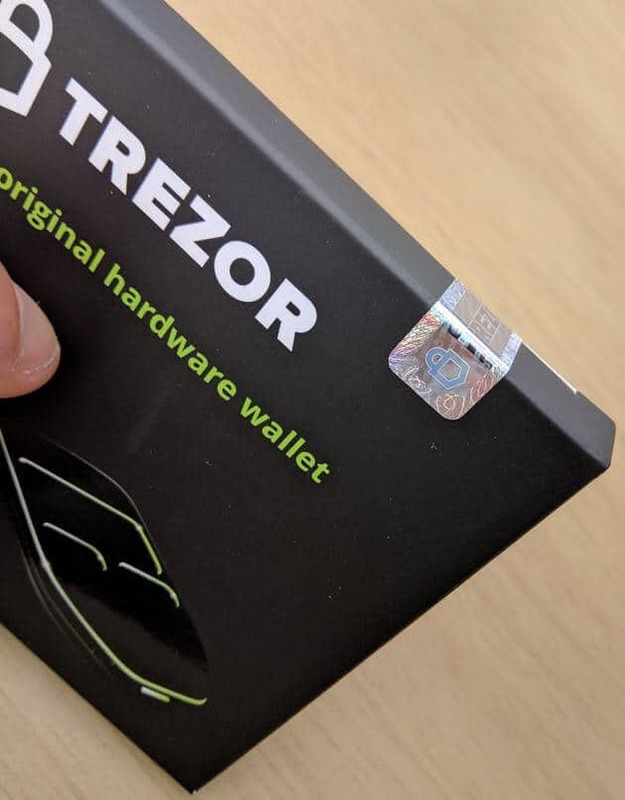 The Trezor was the world’s first cryptocurrency hardware wallet. However, it’s £29 / €33 more expensive and supports fewer cryptocurrencies than the Ledger Nano S. The Trezor also feels cheaper than the Ledger Nano S.
Check out our Trezor review to learn more. The Trezor Model T (the follow-up to the Trezor One) was only launched in May 2018, but it’s worth checking out. It’s £93 / €105 more expensive than the Ledger Nano S but has an excellent full-colour touchscreen which makes it easier to use and more intuitive. It’s a premium option which is probably best suited for die-hard cryptocurrency enthusiasts. Summary: Best Bitcoin Hardware Wallet? The Ledger Nano S is a feature-packed and affordable hardware wallet. It currently supports 28 cryptocurrencies, while the Trezor One and Trezor Model T currently support 22. But is it the right hardware wallet for you? Even though I like the Trezor One, I’d recommend the Ledger Nano S over it. Secure: Prevents malware from hijacking your funds. All transactions must be verified on the device itself, not your computer, before they are broadcast. Convenient: Supports a growing number of cryptocurrencies, which you can store in one place. Also works with third-party software like MyEtherWallet (which means you can send/receive ERC-20 tokens too). Peace of mind: It only costs about £84 (with free shipping). It’s worth it for the peace of mind which it offers. Easy to use: No need to be a tech wizard. Just follow some simple directions. Compact and discrete: The size of a normal USB drive, with a metal casing. It is branded on the outside, but it is still discrete and portable. Find more reasons to get a Ledger Nano S here. If you don’t care much for alternative cryptocurrencies, then check out the Trezor or Digital BitBox. Back in December 2017, a simple scam kept popping up. Scammers were selling repackaged (as new) or used hardware wallets which were already setup. People were receiving things like this. As you can see, the recovery seed (and pin code) have already been setup. This means that the Ledger Nano S is not secure as the seller will know it too. 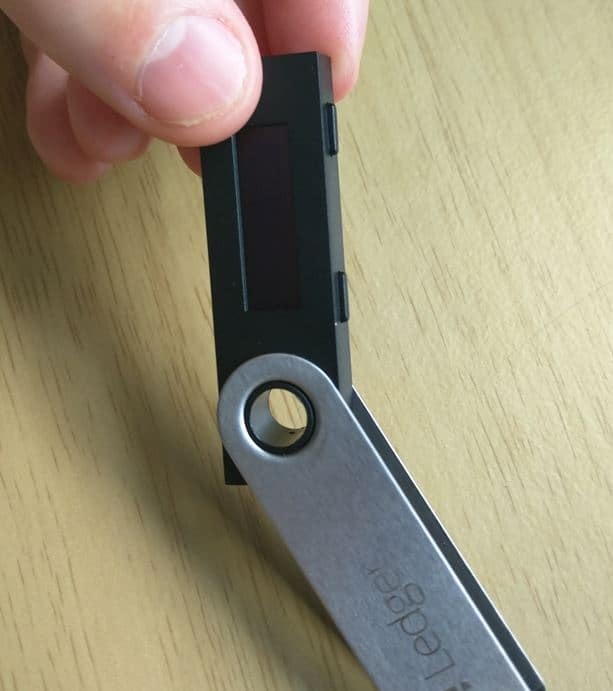 Be cautious of anyone willing to sell hardware wallets under market price, as they might be trying something like this. When you’re initially setting up the Ledger Nano S, it’ll ask you to confirm every word in your recovery seed. This is to make sure you’ve written it down 100% correct. If you want to check it again, you can install the ‘RecoveryCheck’ app. This allows you to check your 24-word recovery seed you’ve setup the device. Just follow the instructions here. Not store your 24-word seed on a digital device (otherwise things like this can happen). Use paper, card, or something like Cryptosteel. Never enter your seed into any website. Split the 24-word seed into multiple parts (Winklevoss twins do exactly this). Create (at least) two backups of your 24-word seed and store them in two separate locations. Keep the location of your 24-word seed secret. Only share this with trusted parties (e.g., your beneficiary). Enable your hidden wallet (see below). Consider storing your 24-word seed in a fireproof safe or storage box. It might be annoying to arrange, but taking these steps protects you against the eventuality that one of your backups is compromised in some way (e.g., house burns down or is burgled). It’s worth the effort for the peace of mind. 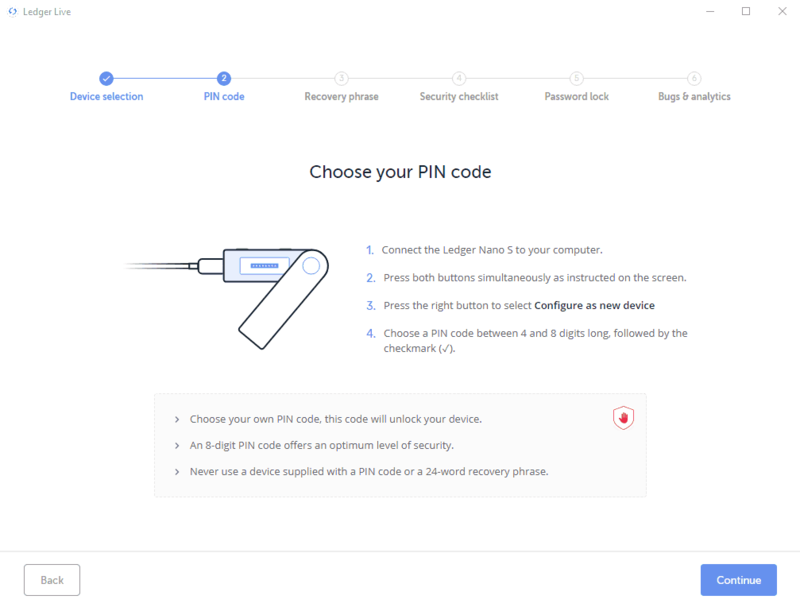 The Ledger Nano S recently added a plausible deniability function, which allows you install a second (hidden) wallet on the device which is accessed through an alternative pin. In the event that an attacker is forcing you to open your Ledger Nano S, this security feature allows you to misdirect the attackers away from the wallet with the majority of your funds. Use the first PIN code (the main wallet) for smaller amounts (i.e., daily use). Use the second PIN code (the hidden wallet) for saving and hiding larger amounts (i.e., irregular use). In the event that attackers accessed your 24-word seed, only the main wallet (with the smaller amount of funds) would be displayed (if you set it up as described above). You can learn more about this function, and how to set it up, here. There are recent Reddit threads here and here which might be helpful too. Take steps to prevent a devastating wrench attack. It’s important to understand this function properly before you enable it. Although I recommend using this function, it isn’t mandatory – you can always come back to this and set it up later when you find it necessary (or you understand it better). Always verify that the wallet software you’re installing is official. Ideally, follow instructions and links on the official website and sense-check them (e.g., is the author legit?) too. You can find all the official apps through the main site. Just click on ‘Apps’ in the top navigation bar. You can find links to relevant documentation (including tutorials) for each supported cryptocurrency on the official website here. Why do I bother mentioning this? Recently, there was a fake Ledger Manager which popped up as the first result when searching the Chrome web store. It was removed from the Chrome web store shortly after, but it probably caught some people out. Take a moment to double check the legitimacy of anything you’re about to download. If I uninstall applications on the Ledger Nano S, will I lose all my coins? …your Nano S can hold about 5 applications at the same time, but you can deal with many more applications – as many as stated on the Ledger Manager – by removing and installing the ones you need to manage. Removing an application won’t make you lose your coins: you will be able to see your balance and transact as soon as the coin application has been installed again. Why does my bitcoin (BTC) receiving address change every time I use it? 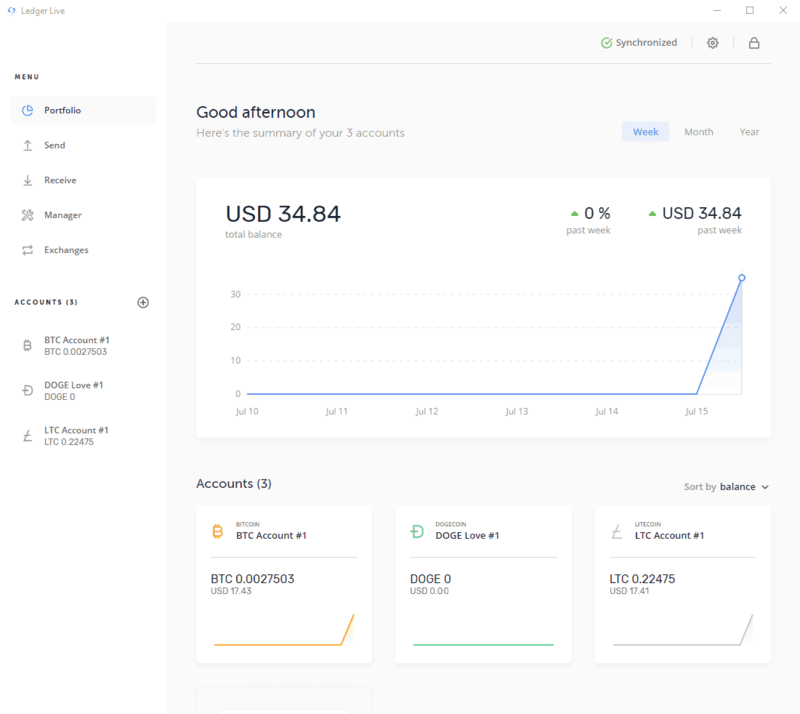 Ledger Wallet Bitcoin Chrome application manages multiple addresses on the same account as it supports Hierarchical Derministic (HD) protocol, a security and privacy feature. So each time you want to receive bitcoins, it generates a new address always pointing to your own account. Of course, each address remains active and yours, if you need to use them more than once. Each transaction will be displayed on your application. I’d recommend you set a PIN which is >4 digits long which is random (i.e., not your birthday). If someone attempts to access your Ledger Nano S, it will be wiped if the incorrect PIN is input 3 times. You can select a PIN code which has 4, 5, 6, 7, or 8 digits from 0-9. For a 4-digit PIN, there are 10,000 possible combinations (100,000,000 if you use an 8-digit PIN). If you’ve selected a truly random PIN code, the chances of someone guessing it (in just 3 attempts) are low. Check out this post and don’t set a PIN which is easy to guess (e.g., your birth year, repeating digits, 1234, etc.,). I’d recommend you set a randomised 8-digit PIN. You can access your wallets (and funds) by restoring on another Ledger Nano S using your 24-word seed. Even if your old (1st) device is not wiped, you can restore and access your wallets on another (2nd) Ledger Nano S by going through the restoration process on it – without impacting the state of the old (1st) device. This should highlight why securing your 24-word seed is critical. If someone gets access to it (without you knowing), they can easily sweep all your funds. This is why I also recommend eventually setting up the hidden wallet function (see above) so that the majority of your funds are not lost if your 24-word seed is compromised. What attacks are still possible? Hardware wallets require you to verify transactions on the physical device before they are broadcast. Whatever is shown on the device (destination address, amount to send, and fee paid) can’t be changed thereafter. As long as you verify that the address shown on the hardware wallet itself is correct, you should be fine. Even if malware modifies the destination address (when copy/pasting), you should be able to spot this when verifying the transaction details on the hardware wallet. However, if the destination address is modified before you get to it (e.g., the address is changed on-screen before you copy it), then there would no discrepancy when verifying the transaction on the hardware wallet. In such cases, you might unknowingly verify a malevolent transaction. In such cases, the hardware wallet is not to blame (it fulfilled its purpose). A Reddit user brings up a valid point here too. Mere ownership of a hardware wallet flags you as a cryptocurrency user, which might be something you want to keep secret. While the Ledger Nano S is more discrete than the Trezor, I would prefer something even more discrete than the Ledger for this reason. Just keep it well hidden when not in use and you’ll avoid this issue. There is also the risk of a wrench attack, which I’ve described previously in the ‘Enable your hidden wallet’ section above. You can reduce your risk of being targeted by being sensible with the information your broadcast about your activities and investments online and in real life. If you do disclose information about your investments, do make sure you clearly convey the confidential nature to the other party (and the reasons why it has to be so). Read about further security risks here. How can I verify the integrity of the Ledger Nano S? There is absolutely no way that an attacker could replace the firmware and make it pass attestation, without knowing the Ledger private key. If you want to verify the integrity of the Ledger Nano S yourself (to verify yourself that it hasn’t been tampered with), then you can find details here to start you off. This is for advanced users only. Let me know in the comments below or tweet me (I appreciate feedback and comments). 1. Order a Ledger Nano S and move coins to software wallet(s) (Exodus, MyEtherWallet, etc.) while I wait for delivery. Looks like Insignal (listed as a Ledger reseller) still has stock (see here). Might be worth a shot. I wouldn’t trust a software or mobile wallet with a significant amount of funds. 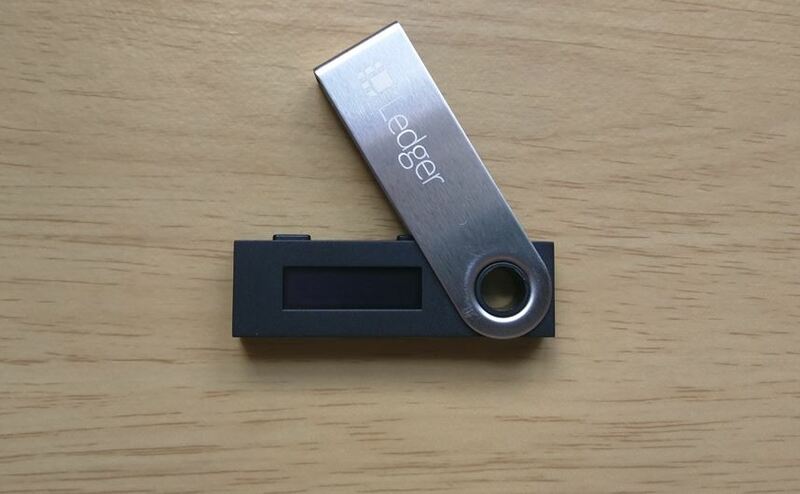 Your best option would probably be to buy a Trezor, put the unsupported coins into paper wallets, and then pre-order the Ledger Nano S if the extra altcoin support is important (they have been known to ship in advance of their estimates). You can check out the currencies supported by the Trezor here, as it does still support a decent bunch of altcoins (including all ERC-20 tokens through MyEtherWallet). If the majority of your holdings are BTC, you might also consider the Opendime which is available through a UK reseller here. I haven’t got a hands-on impression of this yet, but it looks good (and cheaper than a Trezor). Thanks for the advice. I managed to put an order through on Insignal just before they increased the price to £150. If you have any questions once you get it, i’ll be happy to try and help. I have a different Neo wallet on two computers each containing different alt coins associated with each, as well as different amounts of NEO on each wallet. I have one account backed up with nano and one backed up on the other laptop with passphrase. My question: Can one nano back up two different wallets on two different computers, or would i neeed to purchase a second nano? For the main Ledger apps (Bitcoin, Ether, Litecoin), you can have more than one wallet. For the NEO app, it doesn’t appear that the NEON integration supports it at this time. If you wanted to setup a second NEO wallet on your Ledger, a workaround would be to use a temporary passphrase (see here). Before diving into this, I’d strongly recommend you get familiar with this feature with a small amount of crypto (maybe some delicious DOGE) and practice setting it up and recovery.